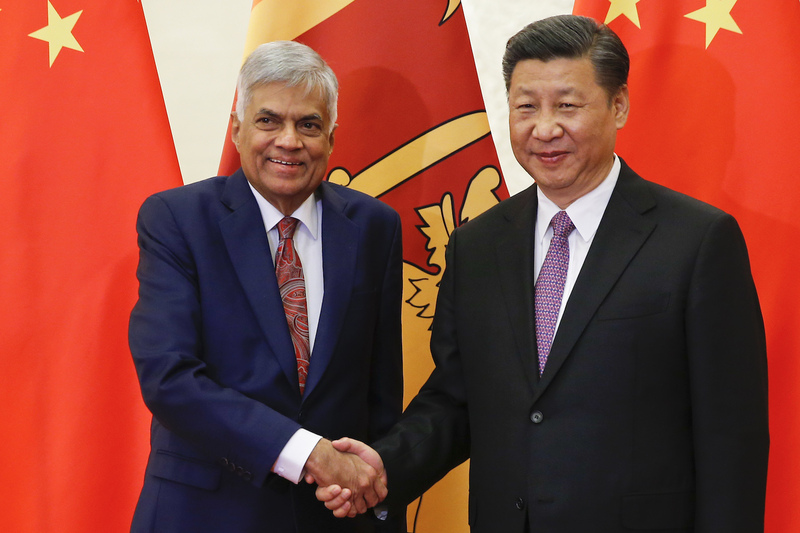 Sri Lanka’s Prime Minister Ranil Wickremesinghe shakes hands with President Xi Jinping in the Great Hall of the People in Beijing, May 16, 2017. Quietly, and largely out of sight, China has emerged to become a major player in the foreign aid space, challenging institutions and norms long established by the West. Although China’s international development budgets remain a tightly guarded state secret, new data indicates Beijing is spending a lot more money on aid programs than almost anyone had imagined. AidData, a research lab at William & Mary in Virginia, conducted an analysis of 4,300 Chinese-funded projects in 140 countries from 2000 to 2014. During that time, AidData believes the Chinese spent somewhere around $350 billion on development programs. Unlike the United States, which spent $394 billion during that same period, the Chinese do not spend aid money in traditional development programs (i.e. cash grants to institutions). Instead, the Chinese have focused their efforts on infrastructure development, export credits, and loans. In this edition of the China in Africa Podcast, AidData Executive Director Brad Parks joins Eric and Cobus to discuss his team’s latest findings on Chinese foreign aid and how Beijing’s money is being spent in places like Africa.